The last time Joël Paquet was in New York City, he nearly died. Too distracted by his problems, he didn’t look when he crossed the street and was nearly made into a pancake by a transport truck in the downtown core. The only saving grace of this trip, other than the cute person working as a living statue who saved him and then took him out for coffee, was the fact that his near-death experience finally gave him the courage to come out as trans. This is a really good short story. It is engaging from the very beginning and I read it in one sitting, as I had to know what happened. I rather wish it were longer, as there was so much more I wanted to know. I wasn't sure how I would feel about the time gap, but it was done really well, and the twist in the story was beautifully played out. I will definitely be looking out for more stories from Mr. Gideon. 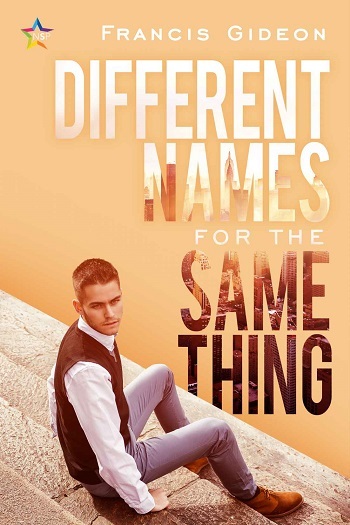 Francis Gideon is a writer of m/m romance, but he also dabbles in mystery, fantasy, historical, and paranormal fiction. He likes to stay up late, drink too much coffee, and read too many comic books. When not writing fiction, Francis teaches college English classes and studies for his PhD. He has published several critical articles on everything from the Canadian poet and artist, P.K. Page, transgender identity in the YouTube community, and character deaths in the TV show Hannibal. He writes his novels using his middle name, so that his students don’t Google him and ask too many questions. 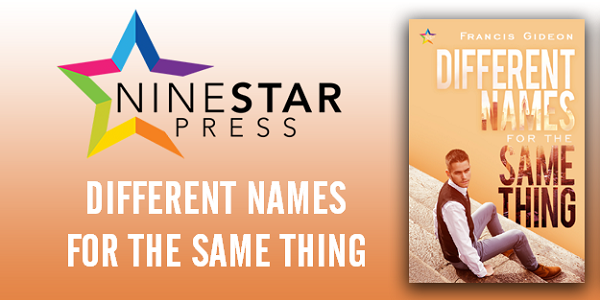 Reviewers on the Wicked Reads Review Team were provided a free copy of Different Names for the Same Thing by Francis Gideon to read and review.